Curly hair can be hard to manage, especially when it reacts adversely to the pH levels in water. 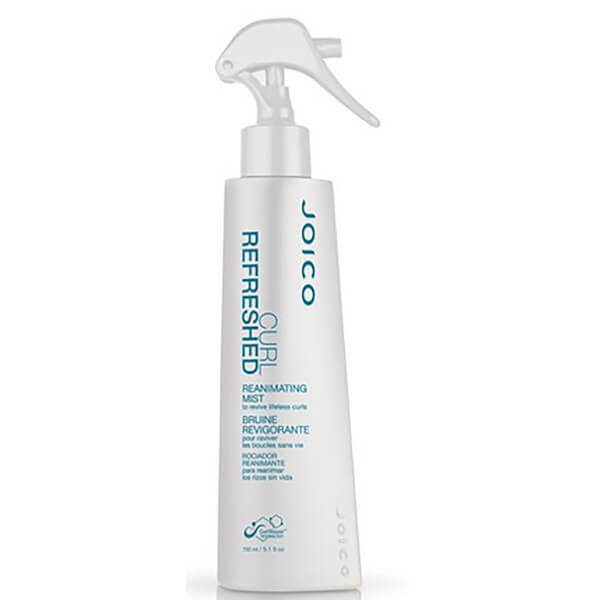 Joico Curl Refreshed Reanimating Mist is a pH optimised spray enriched with Curl Repair Technology™ to create stronger, bouncier, healthier looking curls between washes. Combining a blend of natural oils, reconstructive proteins and defining polymers, the lightweight mist reanimates hair between washes, refreshing the texture of your curls and waves whilst restoring bounce, body and definition. Reactivating curls for an enhanced finish, the frizz-fighting formula will leave curls moisturised, defined and shiny. - K.N. Spray it onto dry hair. Shape to revive curls and waves.